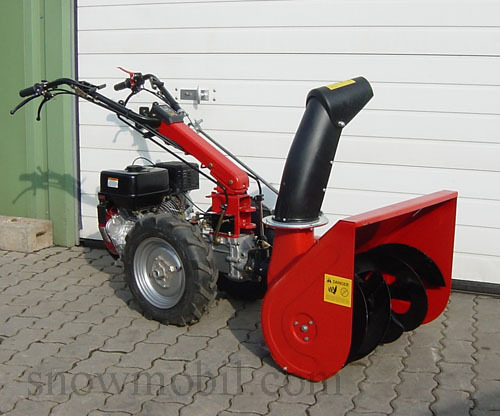 We can supply an attachment snow blower for almost any two wheel tractor. What conditions must have your two wheel tractor? the basic unit must have a minimum capacity of 8.0 PS. but rather a stable multi-disc plate clutch. Let us know the type of your two wheel tractor. We ask the factory for the adapter. The shipment costs for a single order directly in Italy amounts to EUR 180,00.